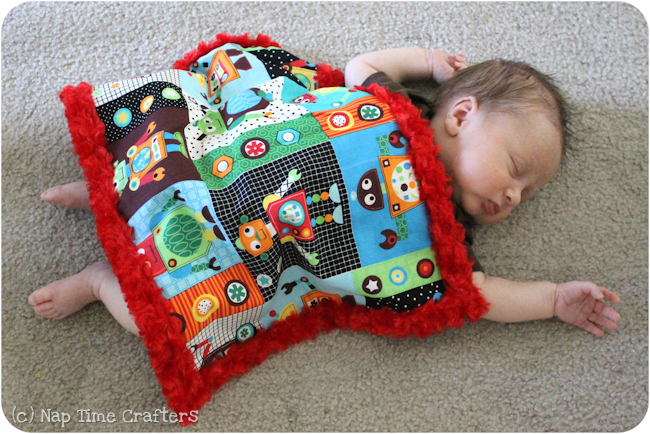 Tutorial: Baby Snuggle Blanket - Peek-a-Boo Pages - Patterns, Fabric & More! Is there anything sweeter than a sweet sleeping newborn??? 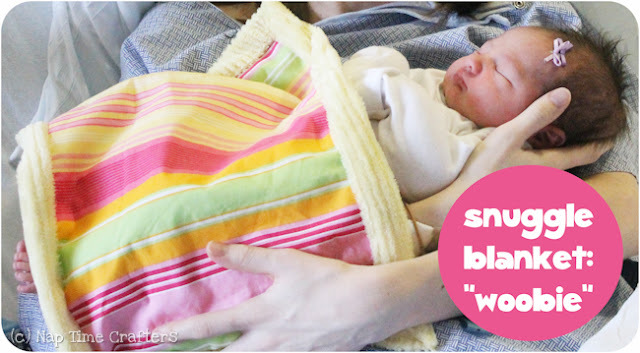 One of my favorite baby gifts is a small snuggle blanket. 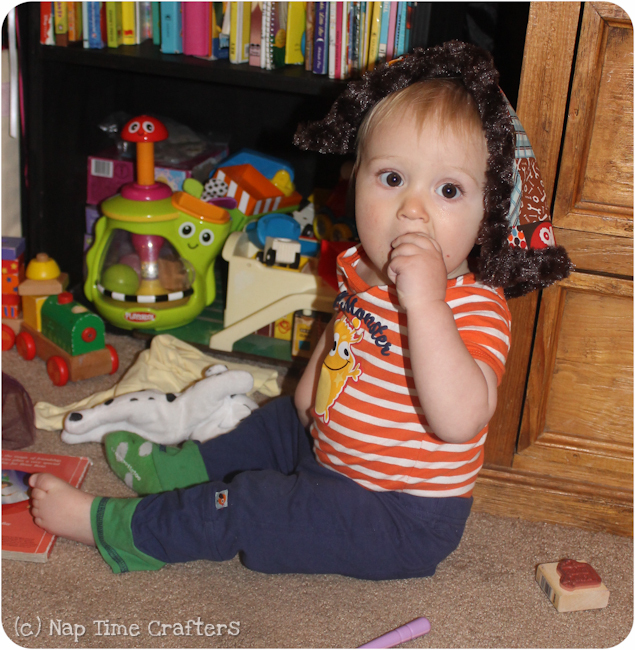 My friend gave Will one when he was teeny tiny and it quickly became his “woobie”. They might look like a full size blankie when they’re covering a newborn but now that he’s a toddler it’s just big enough for him to snuggle his face into and small enough to toss in a diaper bag which is so wonderful! Will loves his so much that Anne thought we definitely needed to make a “woobie” for her baby cousin so we made her cute yellow minky woobie. Since then I’ve also made Will 2 more because we had a tragic loss while on a jog. Worst day ever 🙁 So while you’re making one you might as well make 2 just in case. The top is quilting cotton and for the bottom you want something super cuddly. My favorite is the minky velboa (they sell it in the fur section at Joanns). It looks like little rose buds and is so so soft. 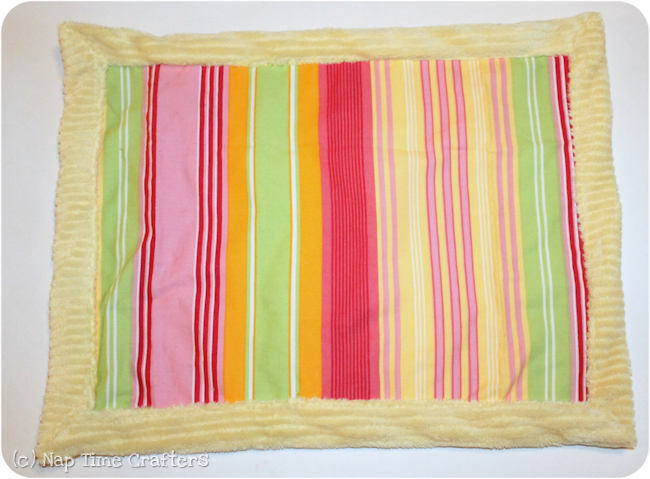 For this yellow one I used the striped minky. 2. 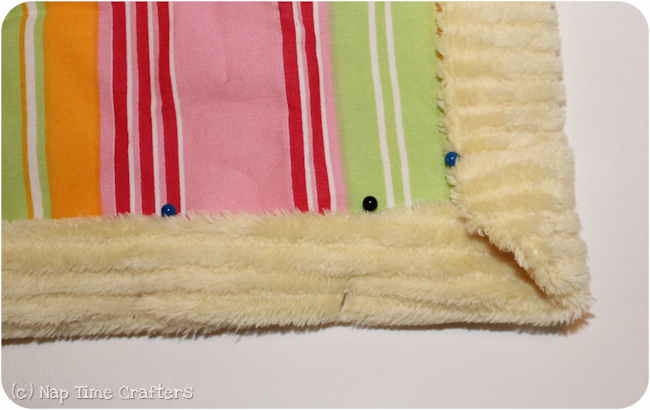 Center the top layer with wrong sides together and wrap one edge around tucking the raw edge under 1/4″. 3. Wrap the 2nd side around tucking that raw edge under 1/4″ as well. 4. 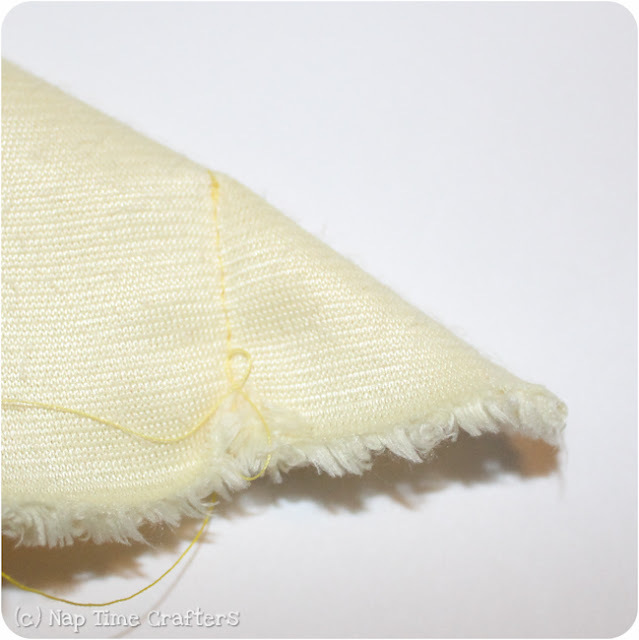 Continue working your way around and then topstitch in place around the inside edge and each corner. 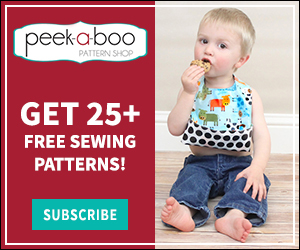 Previous Post: « LLK & Peek-a-Boo Exclusive Pattern Bundle! Thank you 🙂 love your stuff! You not only make it look easy, you make it easy. What a great idea to add a piece of ribbon! 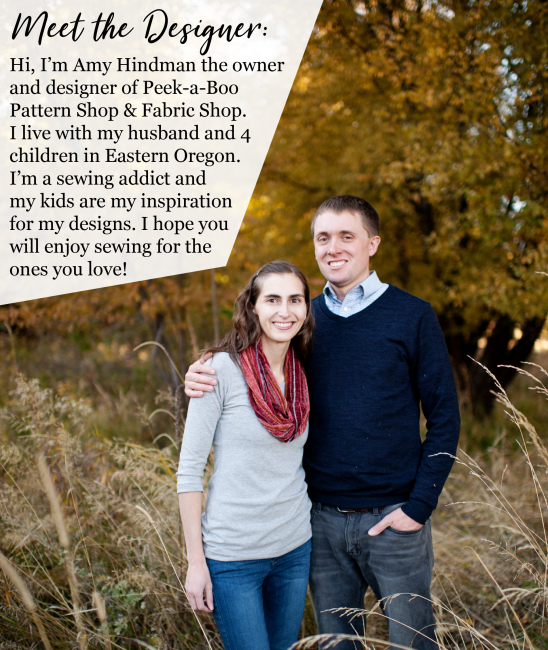 I’ll have to maybe do that for Anna’s. thanks for the idea!